Julien Martineau is one of the few mandolin players in Europe to lead a concert career and has performed as a soloist in the world’s leading concert halls and festivals, including: Théâtre du Châtelet, Théâtre des Champs-Elysées and the Sorbonne in Paris; Grand Théâtre d’Aix-en-Provence; Halle aux Grains in Toulouse; Victoria Hall and the Grand Théâtre in Geneva; Festival de Besançon; and Music Atlantico in the Azores. On Thursday night, Alon appeared with Rene Izquierdo (guitar); tonight he returns for a solo performance. Misha Litvin is a master mandolinist and domra (Russian-style mandolin) player. Stas Venglevski hails from the Republic of Moldava, where he is a two-time first prize winner of Bayan competition. Together, the duo is high energy, jaw-droppingly good, and funny. The MMO is proud to be the sponsor of the 2017 CMSA Convention. 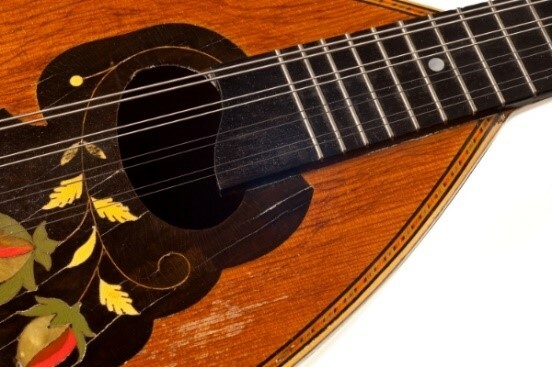 As the host orchestra, we look forward to presenting an evening with some golden-age mandolin pieces, as well as a foray into Spanish and Japanese mandolin repertoire. The concert is free; there will be a free-will offering at the door.